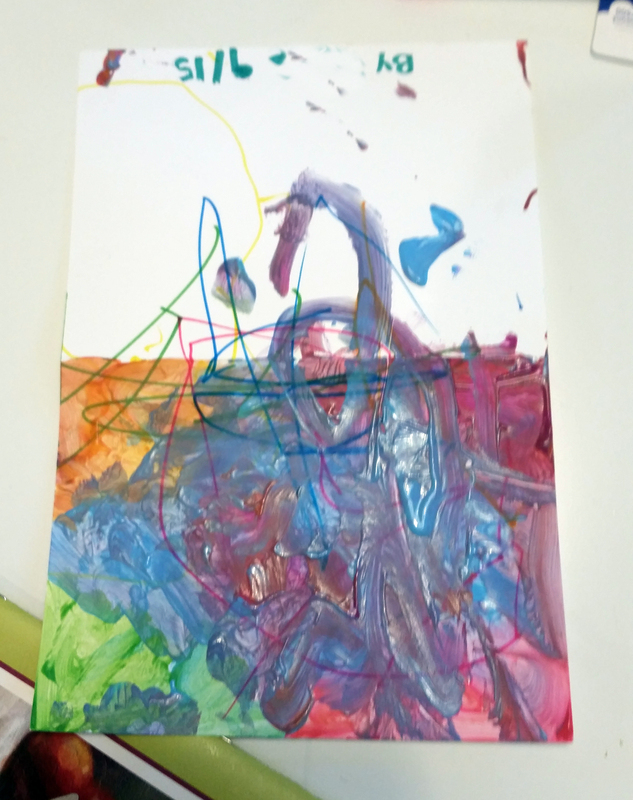 Now, I don’t think my toddler cares, but for some reason having a purpose for doing activities makes me feel more sane – this is a perfect example of finger painting with a purpose! So, I’m sure we’ve all had our little ones make birthday cards for everyone under the sun….mom, dad, grandma, grandpa, and if you’re suuuuuper lucky, maybe even a great-grandparent or two! 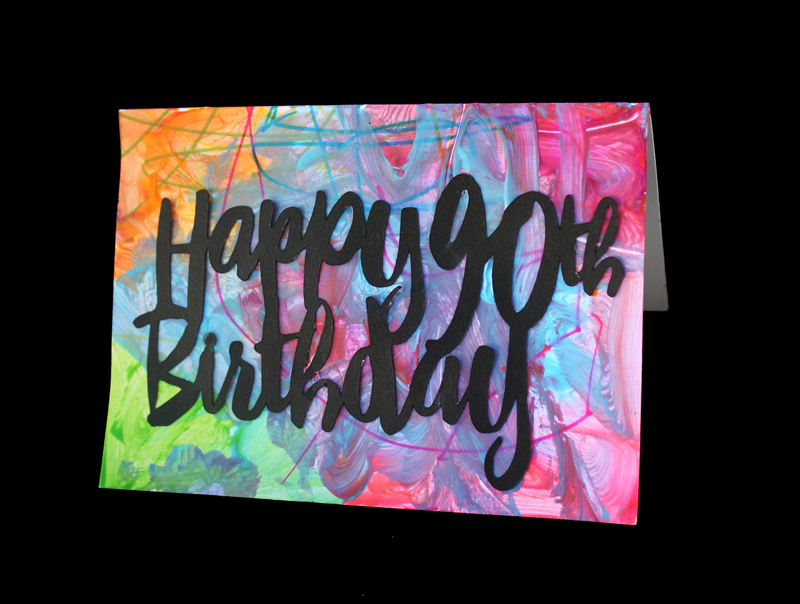 Today we were lucky enough to make this for my grandpa’s 90th Birthday card. I can’t believe he’ll be ninety! It’s so exciting! Unfortunately we all know what comes with old age 🙁 He’s gotten pretty frail lately. It’s obvious that we don’t have many years left with him, so I wanted to make sure we helped with a few things to make this birthday extra special. In the morning, the little one and I baked and iced a homemade gf pumpkin cake, (the LO loved the homemade icing and using the hand mixer – he isn’t really strong enough to move it around yet though so he held it in one spot clanking away while powdered sugar and chunks of butter went everywhere! It has to be done this way, because you only live once, you know?). 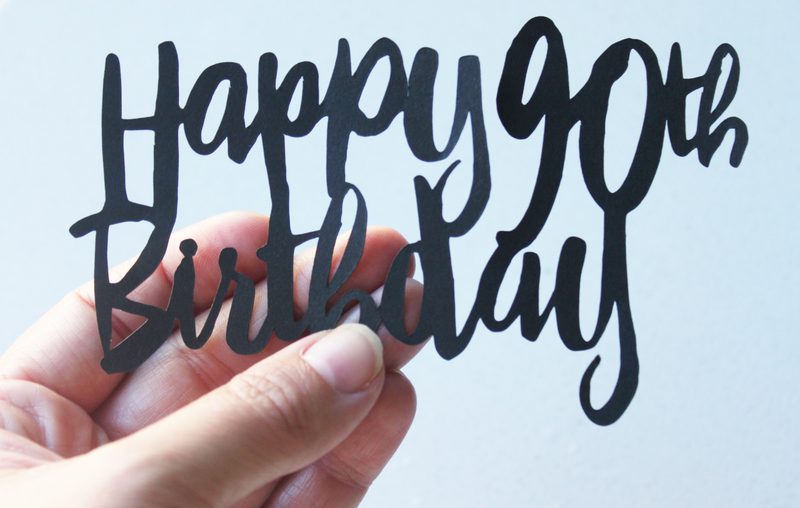 We also designed a “ninety” cake topper, a skewer for his flowers AND best of all, we made a really awesome coordinating handmade painted card (you can get some of your own cut outs for cards from my etsy store if you want). I realized a few days ago when we were finger painting that Little Man hadn’t painted since we made Christmas Ornaments last Christmas (he was 15 months old and now he’s 2). He had a blast and I’m going to make sure we do more painting activities weekly. 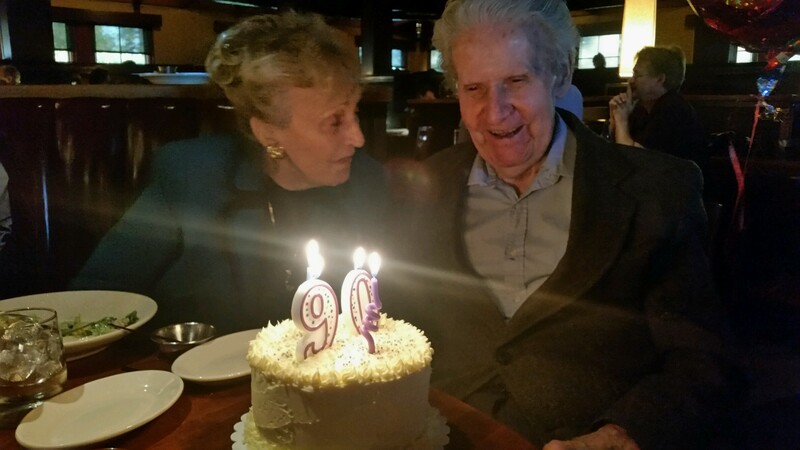 Here’s a picture from their dinner with the cake we made and the “Happy 90th Birthday” sign. It seems that they all drink martinis when I’m not around – I’m missing out! I’m so in love with my grandma and grandpa! Now just let the kiddos paint! Simple right? 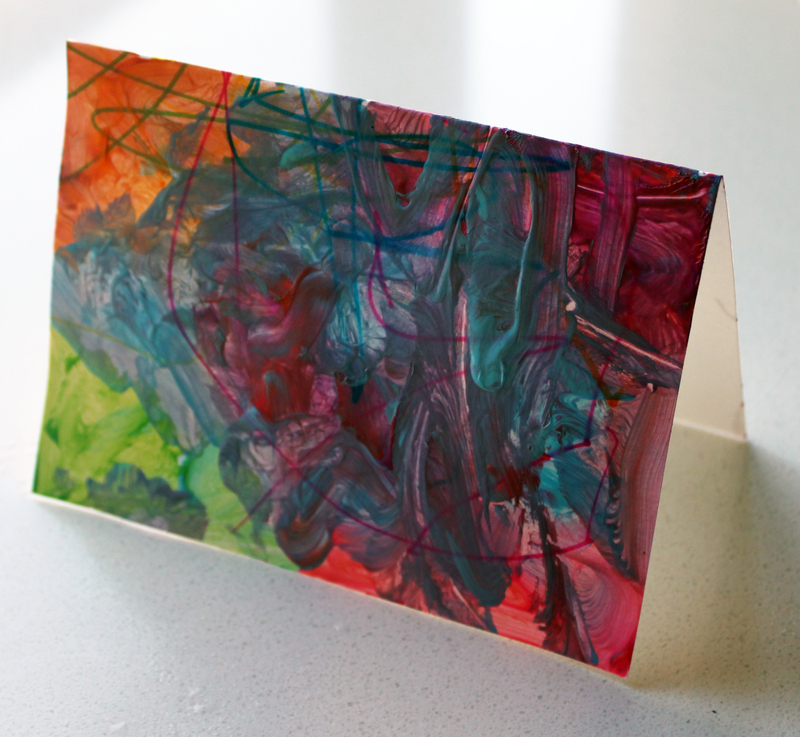 Once the paint is completely dry, dab some glue on the back of the paper cutout and center on your card. 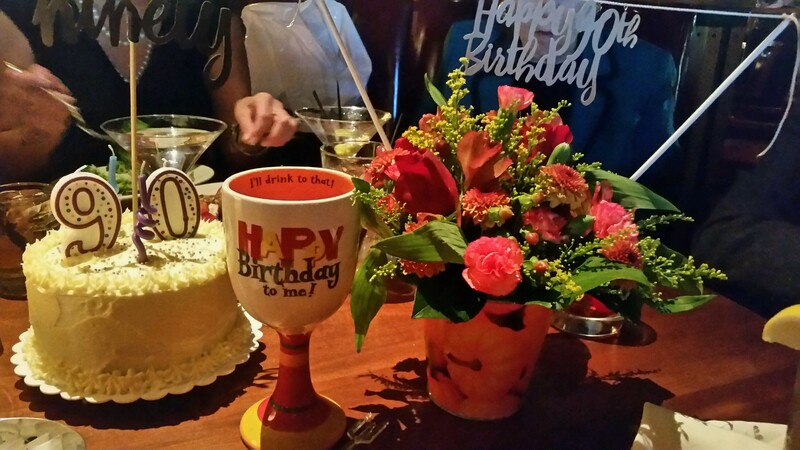 We have 3 birthdays next month, a grandma, a grandpa, and a great grandma (who will be 94!) 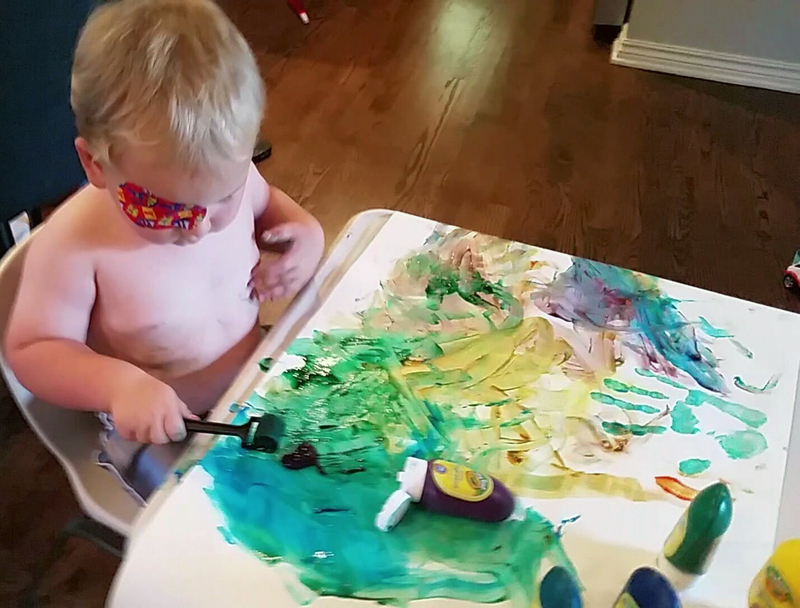 So stay tuned for more toddler painting ideas! I’m thinking squish painting cards, potato stamp cards, and maybe a resist painting card or 2! I know it seems like I don’t need a DIY post for this but I was so excited about how pretty it looked that I had to share it! If you head on over to my Etsy store by clicking here, you can purchase this cutout or have me customize one for you. Have fun!